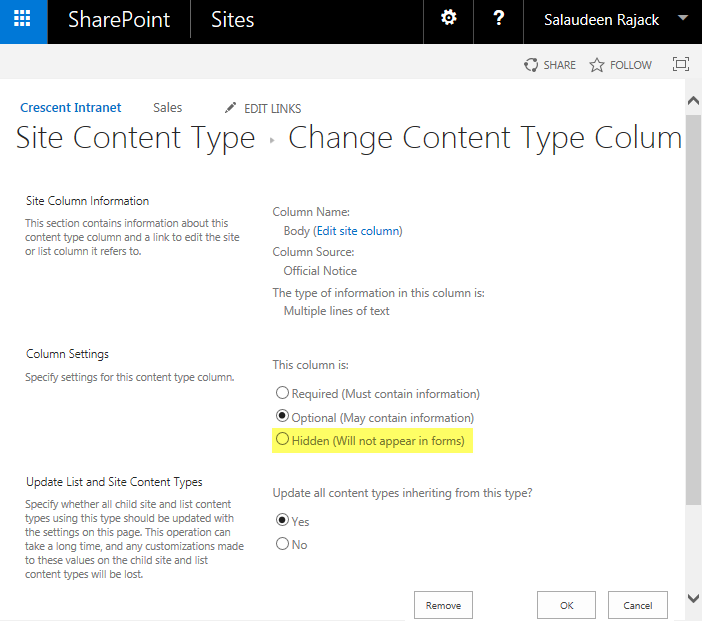 Requirement: Hide a Column from Content Type in SharePoint Online. 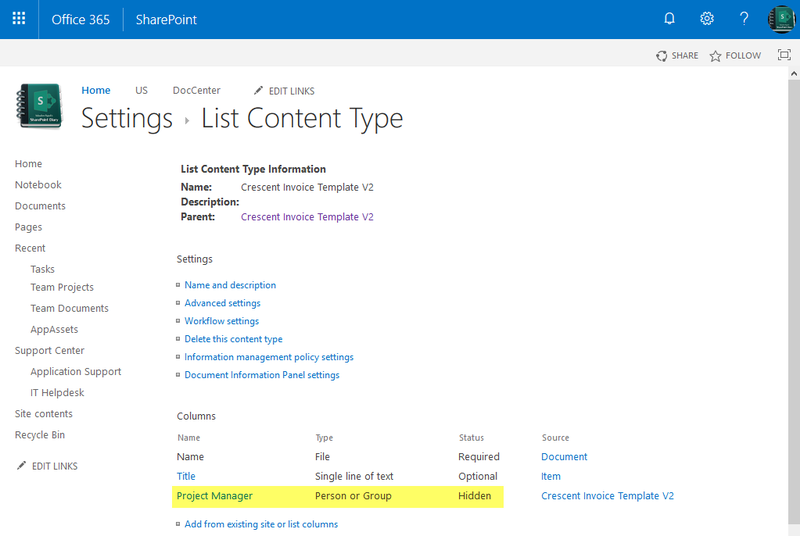 How to Hide a Column using Content types in SharePoint Online? Once content types are enabled, you can hide any field of that content type. Click on Title column (or the column you wish to hide) under columns group >> Click on Hidden option. Now the specific column won't appear on any of the forms as listed above. You can also hide the column from "Views" too by removing them from list views. Assuming content type is already added to the given list, here is the PowerShell to hide a column from content type as list level. Write-host -f Green "Field '$($ContentTypeField.Title)' Set to Hidden!" Similarly, You can set a column in Content type as mandatory by turning on "Required" Property. E.g.